CHIEF Gampu, born Ashlel Sithole (73) of Tsholotsho, has taken his alleged former girlfriend to court, accusing her of swindling him of $34 900 in a house purchase deal. Soneliso Ndlovu (52) of Malindela in Bulawayo, through her lawyer Bruce Masamvu, however, denied the fraud charge when she appeared before Bulawayo magistrate Gladmore Mushove. 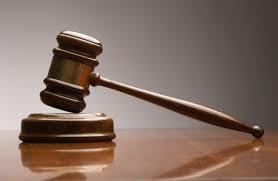 On Monday, the magistrate granted her $200 bail and remanded the matter to September 25 for commencement of trial. It is the State’s case that Chief Gampu, who was Senator until 2018, met Ndlovu sometime in March 2017 in Harare when he was on official State business. The court heard that Gampu and Ndlovu fell in love and started staying together at the latter’s residence in Malindela until August 2018 when the offence was discovered. It is alleged that during the subsistence of their relationship, Gampu, who has eyesight problems, assigned Ndlovu to take care of his banking errands. In November last year, Ndlovu allegedly received his outstanding senatorial allowances amounting to $35 000 and asked Ndlovu to purchase a house on his behalf. It is alleged that they were informed that house number 57083, Lobengula Extension, Bulawayo was being sold for $26 000 and went together to meet the owner, Ben Ndlovu. The court was told that an agreement was reached between the seller and Gampu, who instructed Ndlovu to take charge of the transaction. Ndlovu is alleged to have taken advantage of Gampu’s poor eyesight and caused the agreement to be signed between her and the seller. She allegedly went on to misrepresent to Gampu that the value of the house was $26 000 after she had negotiated for a purchase price of $24 000. $7 500 and $14 000. It is alleged that on December 19, 2017 Ndlovu transferred $20 000 into the seller’s account, purporting to be the purchaser of the house and thus misleading the seller. Ndlovu is alleged to have gone further to transfer the ownership of the house into her name without Gampu’s knowledge and consent. The offence was discovered in July when the chief’s driver Proud Mbambo went to council offices to check on the status of the house and was advised that the house was registered in Ndlovu’s name.